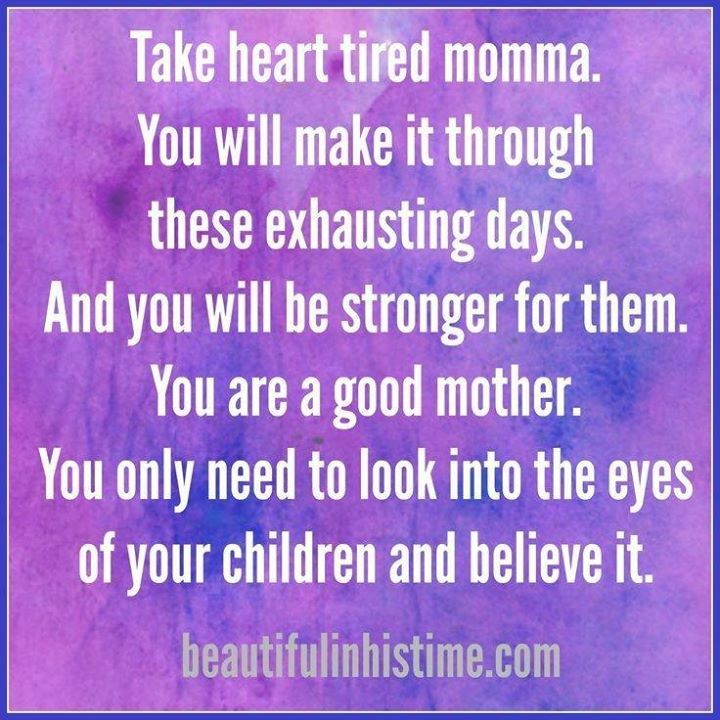 TAKE HEART TIRED MOMMA. YOU WILL MAKE IT THROUGH THESE EXHAU - ProudMummy.com the Web's Community for Mums. TAKE HEART TIRED MOMMA. YOU WILL MAKE IT THROUGH THESE EXHAUSTING DAYS. AND YOU WILL BE STRONGER FOR THEM. YOU ARE A GOOD MOTHER. YOU ONLY NEED TO LOOK INTO THE EYES OF YOUR CHILDREN AND BELIEVE IT.